We are off to the beach!!! We have been in Spain for nearly two weeks now. Most of the boxes and bags are unpacked. We have a phone line, gas, broadband, mobile and electricity accounts in our names and we put a deposit on a car (a Prius). It has been busy. The most difficult thing to deal with has been the banks – both Spanish and Irish. Bank of Ireland have been particularly unhelpful and inflexible. 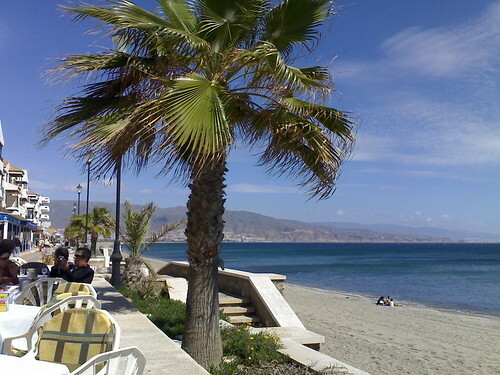 My brother-in-law has a time share in Almeria he couldn’t take up this coming week so he offered it to us. This afternoon we are heading to the beach for a week! I’ll be the one under the umbrella, trying desperately to stay in the shade!